In his celebrated book, The First Three Minutes: A Modern View of the Origin of the Universe, Dr. Steven Weinberg said that mankind is a “farcical outcome of a chain of accidents reaching back to the first three minutes” after the Big Bang. According to Weinberg and many other atheist thinkers past and present, the cosmos is not purposeful and we, its observers, amount to nothing more than self-aware cosmic dust bunnies. Dr. Weinberg is a Nobel Prize winning physicist, a brilliant scholar who has spent decades investigating the intricacies of the material universe. I find it astonishing that individuals with such extensive, intimate knowledge of the mathematics of nature could so confidently dismiss the implications of the fact that we are conscious, intelligent beings capable of ascertaining these complex truths in the first place. Consider this. Humans developed some fundamentals of mathematics before they were ever applied to nature. We first had to have the rudimentary tools for composing mathematical descriptions. As science has become fully integrated with number, knowledge of the world has exploded. Why isn’t every physicist asking the question: Why is there such a deep connection between mathematics, an abstract product of human rationality, and the material cosmos if we, and it, are accidental? I am by no means a math whiz, but since the ninth grade, I’ve had an acute fascination with geometry (punny, haha). I find the applicability of number to theoretical space amazing all on its own. When the ancients were drawing lines and shapes in the sand, they discovered elegant laws that continue to inspire wonder. But geometry didn’t end with sticks and sand. The natural philosophers of antiquity realized that it could be applied to the natural word quite effectively. Philosophy is written in this grand book—I mean the universe—which stands continually open to our gaze, but it cannot be understood unless one first learns to comprehend the language and interpret the characters in which it is written. It is written in the language of mathematics, and its characters are triangles, circles, and other geometrical figures, without which it is humanly impossible to understand a single word of it; without these, one is wandering about in a dark labyrinth. 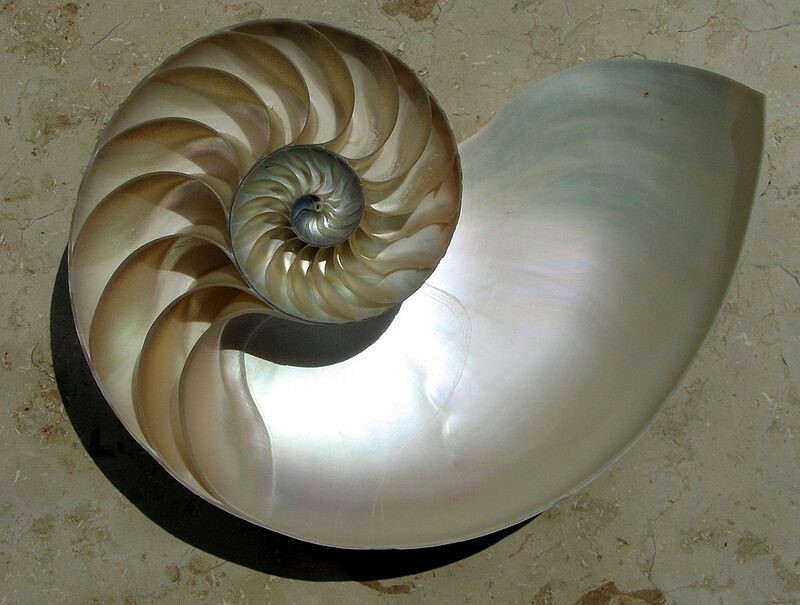 Take for example the logarithmic spirals present in plant leaves, pinecones, nautilus shells, pineapples, and sunflowers. Such spirals are also seen in galaxies, hurricanes, and the flight patterns of some insects and birds. Or what about the myriad mathematical formulations of the laws of physics, such as Einstein’s famous equation, E=mc2 , which describes the relationship between mass, kinetic energy, and the speed of light. We could imagine, with random ordering, that by some mercy of fickle chance, a purely accidental relationship of some mathematical system would “map onto” a particular aspect of nature, but we would never expect it to effectively illuminate the natural order beyond that merely accidental relationship .Yet if we keep finding that multiple mathematical systems “map onto” nature—calling us from one steppingstone of discovery to the next—then it is certainly reasonable to suspect a conspiracy of reasoned order. Mathematics illuminates the orderliness of nature, yet it was first conceived by the human intellect. Isn’t this extraordinary? The natural world is intelligible and the mathematical tools to comprehend and describe it pre-existed our attempts to do so. Why should there be such a relationship between our abstract reasoning and the realities of the cosmos? Where did our capacity for higher mathematics even come from? Materialists say that it is the product of blind evolutionary processes, but what survival or reproductive advantage is gained from being able to formulate the sophisticated equations of physics—equations that have led to further scientific discovery? Yet, if we are made by, and in the image of, a Rational Intelligence who is also the artificer of the universe itself, this coincidence is something we shouldn’t be at all surprised to find.